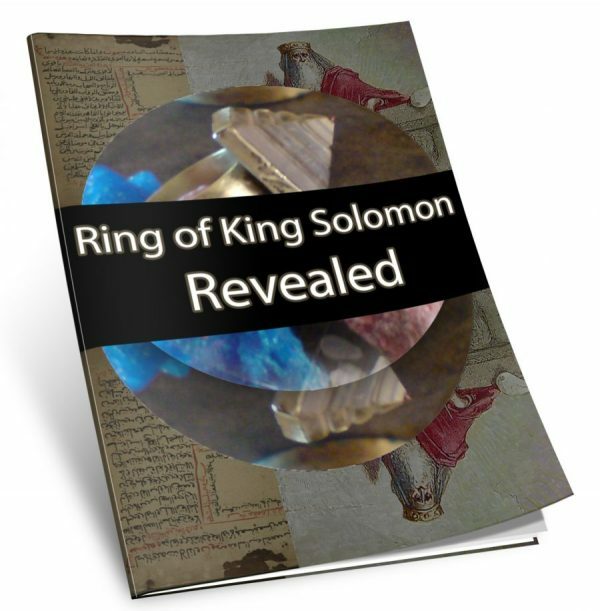 Discover the mysteries of the authentic and true ring of King Solomon. Delve into its history and lore. Its true form has been shrouded in aeons of secrecy and confusion. Authentic translations of excerpts of ancient manuscripts that hint to its true form awaits you. Uncover variations on the ring that can bring many benefits to your life from power to spiritual awakening. Find out which Jinn has taken hold of the original Ring of Solomon and where it is now. Discover the connection between ancient Magian religion, pyramids, Etemenankia and its influence on the Ring of Solomon. Receive alternate inscriptions for the ring for to awaken the powers of: kingship, compassion, protection, quick magical response, strength, prosperity and success and much more.